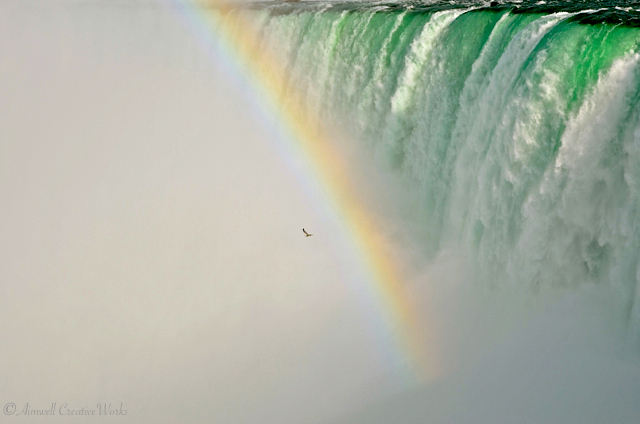 What a vantage point this must be for the bird who descends into the mists coming off the thundering waters of the Horseshoe Falls in Niagara, Ontario. 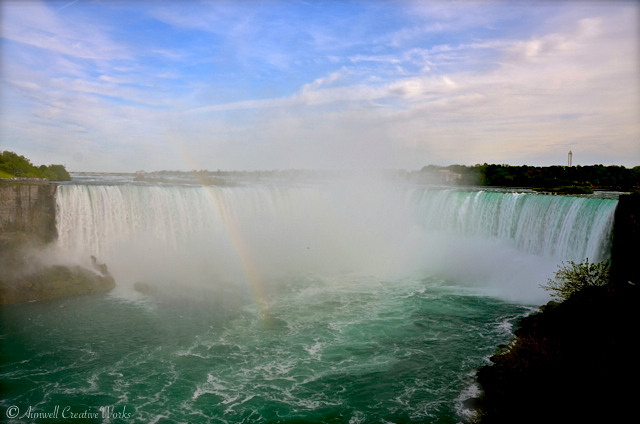 At a height of 188 feet (57m) and a width of 2,600 feet (790m) these falls are an impressive sight. The average annual flow rate is 85,000 cubic feet (2,400 m3). That’s a lot of water tumbling down the Niagara River from Lake Erie, descending over a rocky precipice and into the Niagara gorge on its way to Lake Ontario. 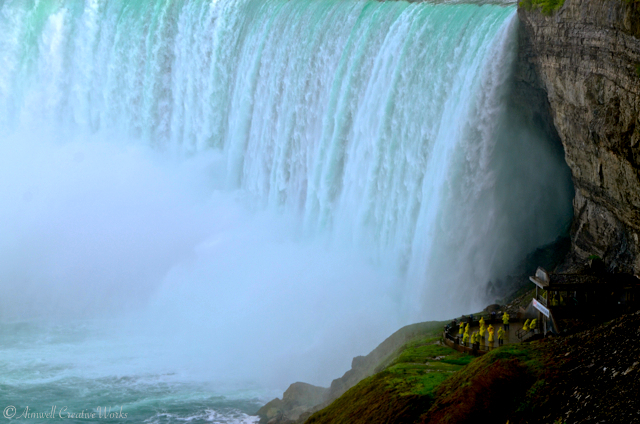 The verdant green colour of the water is a byproduct of the estimated 60 tonnes/minute of dissolved salts and “rock flour” (very finely ground rock) generated by the erosive force of the Niagara River itself. The current rate of erosion is approximately 1 foot (0.30 m) per year down from a historical average of 3 feet (0.91 m) per year. According to Niagara Parks, it’s estimated that 50,000 years from now, even at this reduced rate of erosion, the remaining 20 miles (32 km) to Lake Erie will have been undermined and the falls will cease to exist.